The 5X is just half of Google's new lineup of Nexus phones for 2015. This LG-made handset includes a fingerprint sensor, full HD screen, and 12-megapixel camera. It is among the first to run Android 6.0 Marshmallow. Here is Phone Scoop's in-depth review. 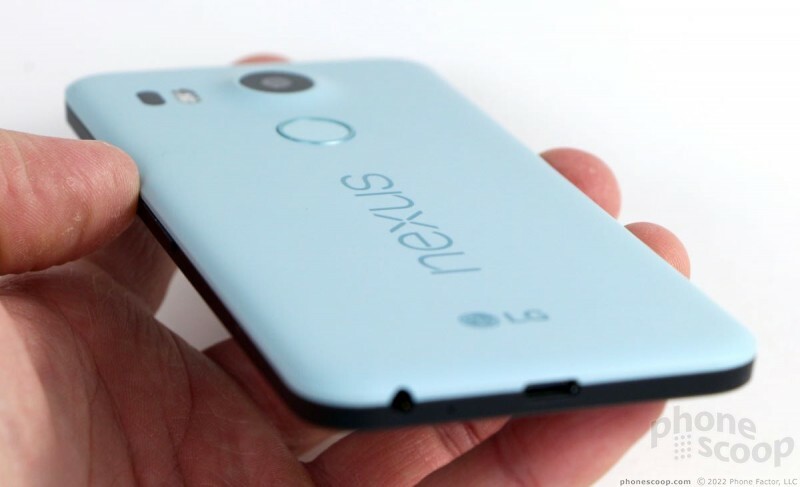 Nexus phones are for a targeted set of people: those who want a "pure" Android experience and the promise of first access to new versions of Android from Google. 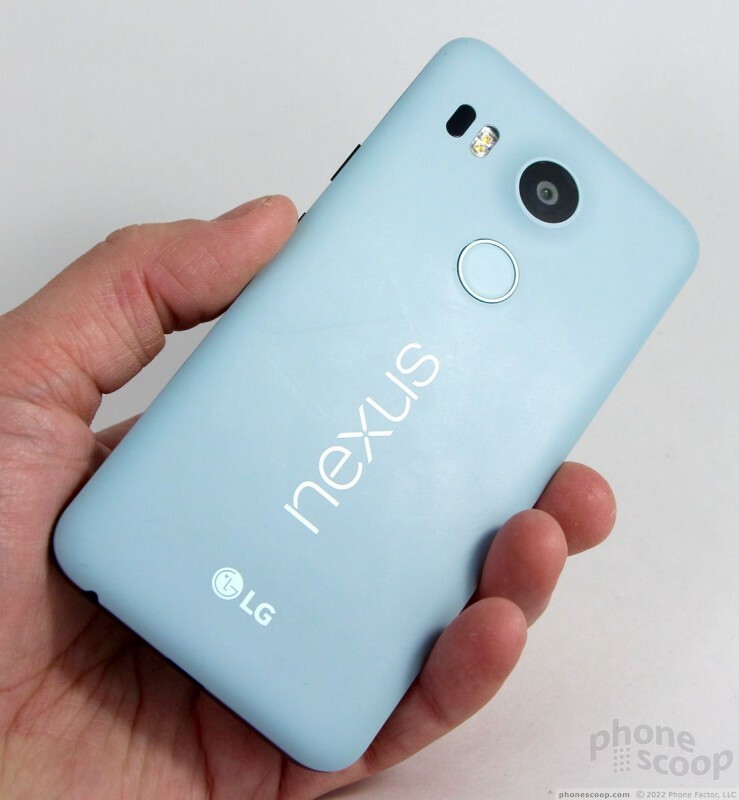 The Nexus 5X — a would-be successor to the 2013 Nexus 5 — is a mid-range handset that ships with Android 6.0 Marshmallow. 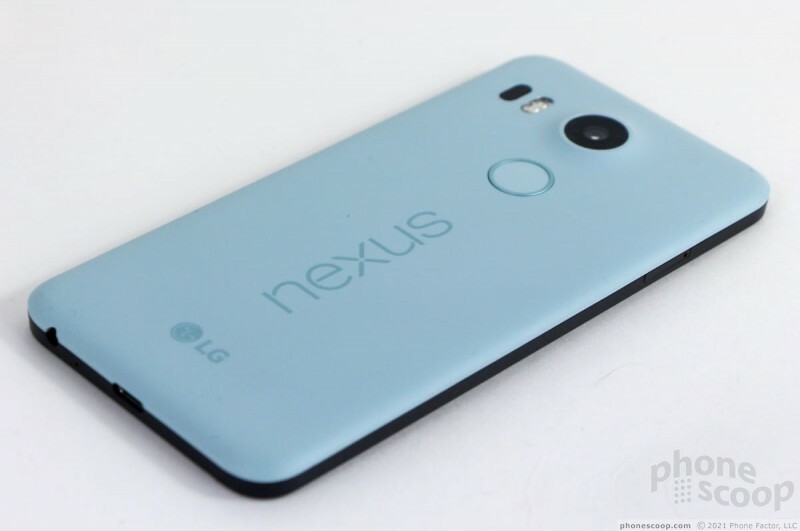 If you want to latest from Google at an affordable price, the 5X is for you. The Nexus 5X is one of two new Nexus smartphones from Google. The 5X is made by LG, while the 6P is made by Huawei. LG was tasked with designing a simpler, smaller handset than the 6P; in that respect, it mostly succeeded. 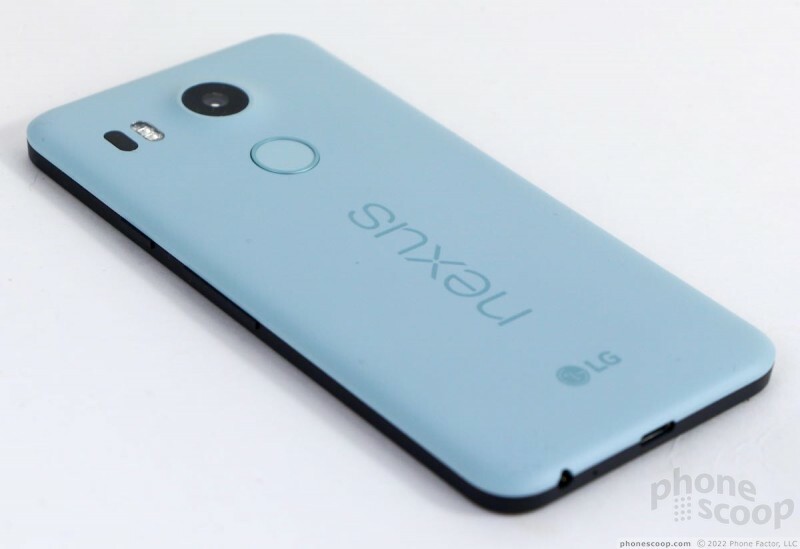 The Nexus 5X is clearly a unique design that LG made specifically for Google. 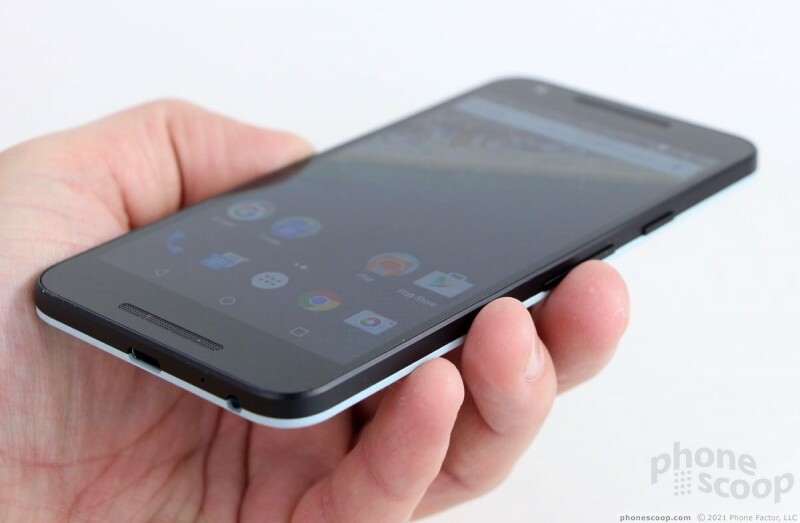 It's bigger than the Nexus 5 and blessedly smaller than the (huge) Motorola-made Nexus 6. The design is rather simple, especially if you're looking at the front surface. 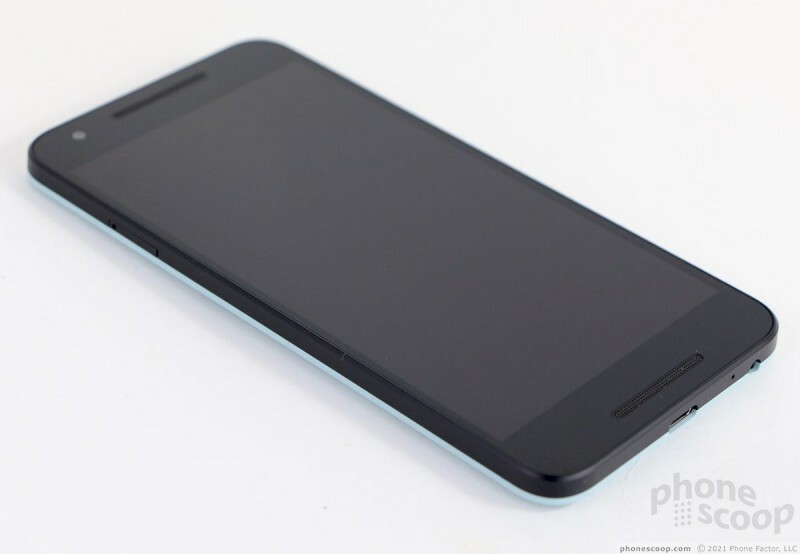 The overall shape is more rectangular, as the phone ditches the curved top/bottom edges that defined the N4 and N5. 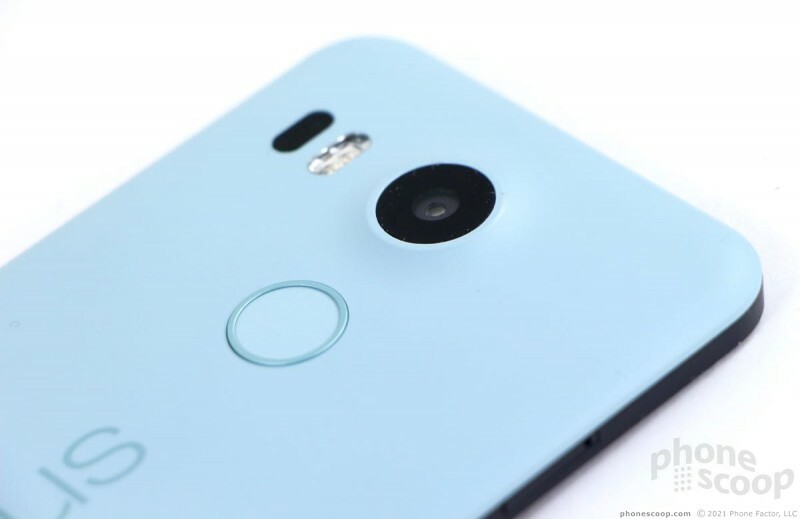 About the most interesting aspect of the design is the vertically-arranged, circular camera module and fingerprint sensor on the back. That's not saying much. The 5X is not made from fancy materials. The glass display panel is fitted into a plastic frame, which is in turn glued onto a soft-touch polycarbonate panel forming the rear. The front is black no matter which rear cover you select. 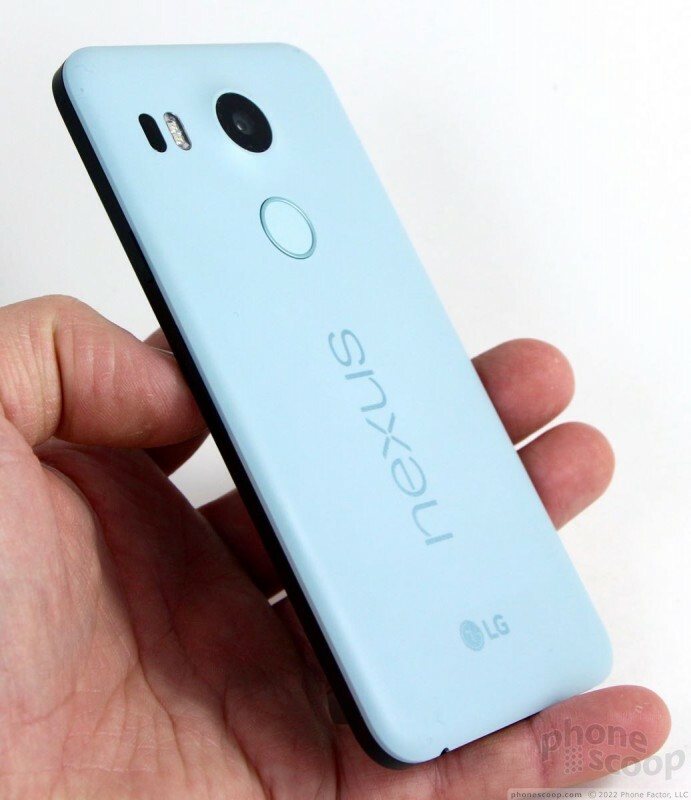 The 5X rear panels are available in white, black, or quartz (sea foam green). Rich ordered himself the quartz version and I personally find it hideous. I'm slightly disappointed with the quality of the phone. The plastic frame that surrounds the display feels cheap-ish to me, as do the buttons on the side of the phone. 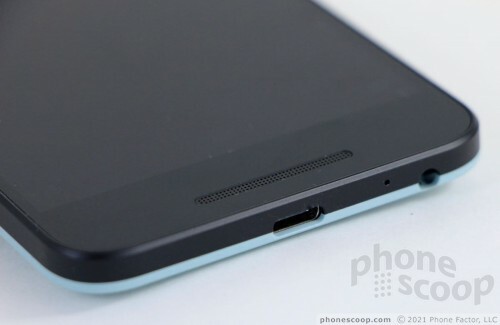 Moreover, the seam between the front and rear halves of the phone is a bit uneven. 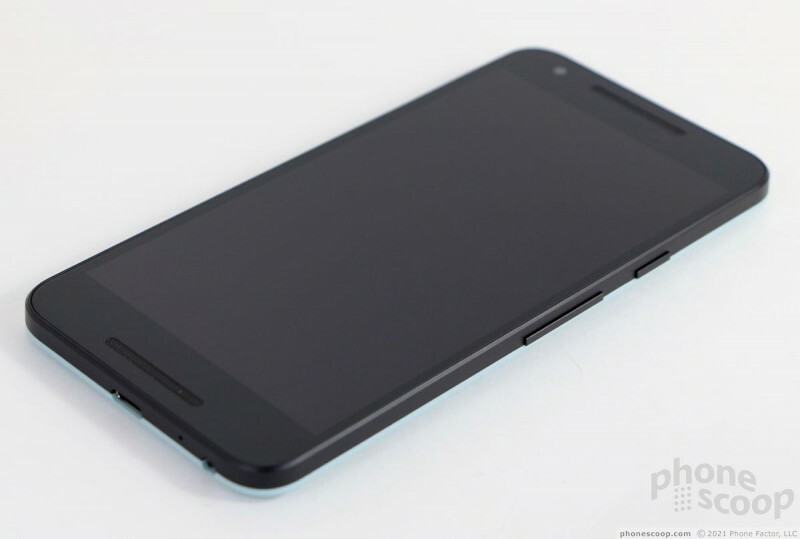 It's not at all horrible, but I've seen better quality in this price range, such as that of the Moto X. Most people should have no problem using the 5X as far as the size is concerned. It could be a little smaller (i.e., less bezel around the screen), but it's not too large. The 5X is thin and light enough that it's a breeze to carry around. I had no trouble placing it into pockets. The front of the phone is defined by the 5.2-inch display. There are two grilles on the front, giving the impression that the 5X has stereo speakers. It doesn't. The top grille covers the earpiece speaker and the bottom grille covers the microphone. The 5X has no buttons on front, and the user-facing camera is practically invisible. The only two buttons are positioned on the right of the phone. The screen lock button is the smaller of the two. The buttons have good profiles and are easy to find/use, but I do not like the travel and feedback. The volume toggle, in particular, feels cheap and clackety. The SIM card tray is located on the left side of the phone. You'll find the headphone jack and USB Type-C charging port on the bottom. A few words about Type-C. This connector is reversible, which makes it much easier to use; no more futzing about trying to figure out which way to insert the darned thing. It is fast, can send power in both directions, and represents the future of phone charging/data transfer. For now, however, accessories are limited. In fact, the phone comes with one Type-C cable and a wall wart that works only with the included Type-C cable. In other words, if you lose either the cable or charger, you're screwed. You may want to buy extra cables and/or chargers online. The 5X's rear panel is not removable and the battery is sealed in. That may be a dealbreaker for some. Like the bulk of Nexus devices, the 5X doesn't support expandable memory. The camera module is housed in a raised bump. I like how the plastic is formed around the lens. Both it and the fingerprint sensor are each about the size of a dime. The dual LED flash and laser focus module are set off to one side. 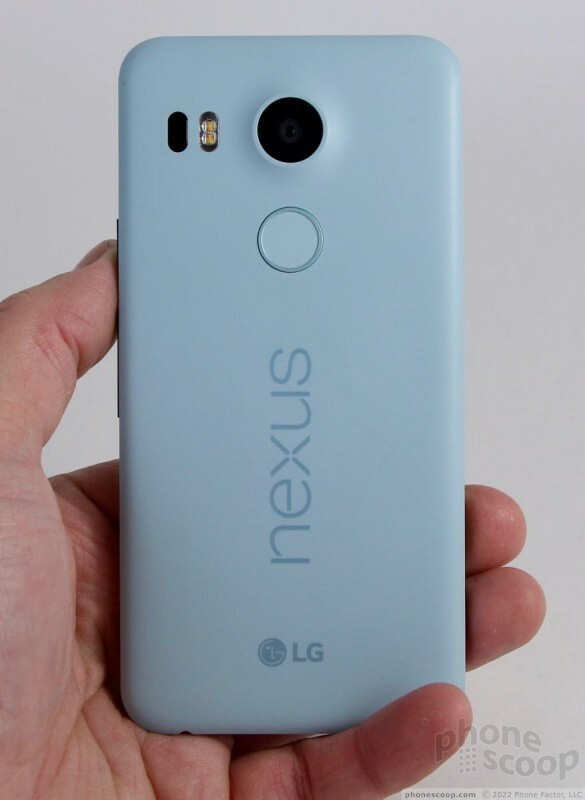 In all, the Nexus 5X is a decent piece of hardware, but it feels more like a $299 handset to me than a $379 handset. The 5X's display measures 5.2 inches across the diagonal and offers full HD (1920 x 1080) resolution. I'm rarely ever disappointed by LG's LCD panels, and the 5X screen is another winner. The display is sharp, colors are accurate, and brightness is quite good. I was able to use the phone outside without any trouble. Viewing angles are solid, though there is a bit of brightness drop-off when it is tilted side-to-side. The 5X has a great screen for this class of device. 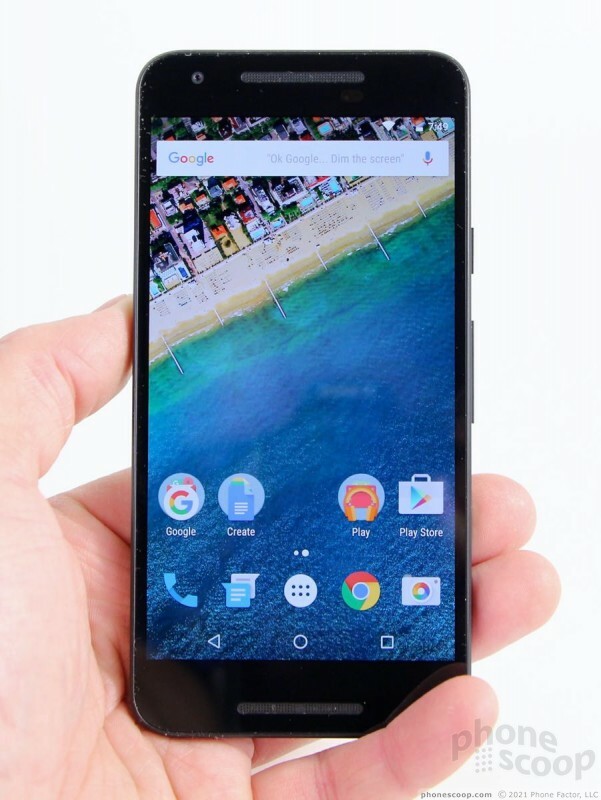 The Nexus 5X is sold unlocked with support for a wide range of networks. I tested it on AT&T's network in and around New York City and came away pleased with the results. The 5X remained connected to AT&T's network everywhere I took it. I was able to connect the majority of calls on the first dial. The phone sometimes required two attempts in poor coverage areas, but this is fairly typical. The 5X did not miss nor drop calls while I tested it, and it was able to keep calls connected when traveling down the highway. Data speeds were generally good, but they didn't blow me away. When used to browse the web, perform Google Searches, load Maps, and surf social networks, the 5X held its own when compared to other AT&T handsets. I thought app downloads could have been a bit faster over LTE. Phone calls sound very good coming through the 5X's earpiece. I thought the majority of conversations were loud and clear. Volume output is strong enough for all but the noisiest spaces. I had no trouble maintaining conversations in my home, in the car, or in a diner during the lunch rush. Quality was impressive, though I experienced occasional distortion. The speakerphone isn't quite as good. I thought volume was average at best; I'd prefer if the 5X speakerphone could be much louder. Clarity also suffered some from scratchiness. I could manage calls in a moving car, but the experience was spotty and inconsistent. Ringers and other alerts were always able to grab my attention. The vibrate alert is fine when receiving calls, but I often missed incoming text messages and other notifications. The 5X delivers mediocre battery life. I was able to coax it from breakfast to bedtime on a few occasions, but only with reserved use (mostly WiFi, low screen brightness). Heavy use (all radios on, higher screen brightness, lots of media consumption) often left the 5X begging for mercy at about the 12-hour mark. That's not quite good enough. Android 6.0 Marshmallow has a few tools to help conserve power, but they have limited effectiveness. For example, Doze definitely helps the 5X retain its charge overnight, but App Standby had no measurable impact whatsoever. If you get into trouble, you can toggle on the battery saver mode, which reduces performance for the sake of power conservation. The one bit of good news here is the phone supports rapid charging technology. According to Google, the 5X can ingest about 4 hours of uptime after about 10 minutes when plugged into a charger. Of course, with the USB Type-C plug, making sure you always have a charger available isn't as easy as with older phones. All the 5X's radios performed as expected. The phone supports a fairly wide set of Bluetooth profiles, and I had no trouble pairing with PCs, speakers, headphones, and my car. Call quality through my car's hands-free system was about average. Clarity was decent, but volume suffered a bit. Music sounded good through a pair of Bluetooth headphones, but I've heard better. Google Maps ran perfectly on the 5X, and the GPS radio was able to peg me in Maps quickly and accurately. It located me within 5 seconds, and was accurate to about 25 feet. The NFC radio worked great for helping pair the 5X with Bluetooth devices, and also did its job when taking advantage of Tap & Go during initial setup. Rich used the 5X for several Android Pay transactions, and says the NFC radio performed flawlessly in that respect. The WiFi worked very well. 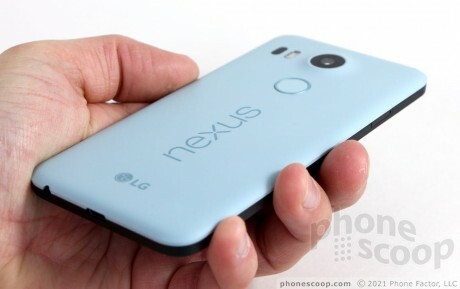 That handset should have been much more better of an upgrade than the nexus 5. It barely was even an upgrade, and should have came with at least 3 gigs of ram. Then again... 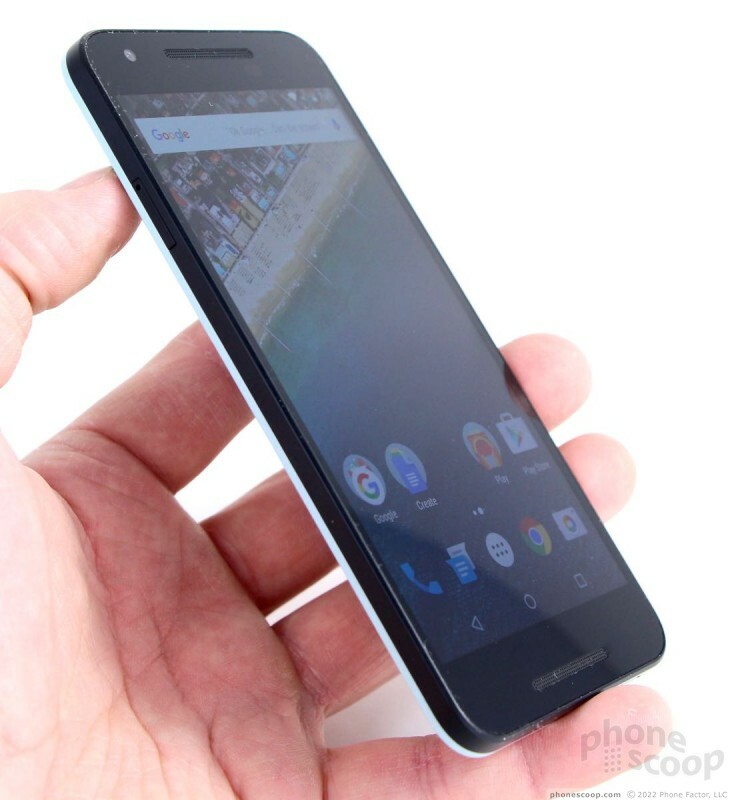 I just got my moto x through FedEx today and my roommate just ordered one a few hours ago (and his nexus 5 has a power button that keeps jamming).